The Protestant Reformation continued to spread. The Protestant states organized into the League of Schmalkald in order to defend themselves if Emperor Charles V should seek to compel them to return to the religion of the Pope. Due to troubles with both the French and the Turkish Empire, Charles V needed the help of the Protestants, and so two years after the Augsburg Confession was published, the Peace of Nuremberg-- stipulating that the Protestants could remain in their faith, but could not seek to extend it to other territories, in exchange for which they would support the Emperor against the Turks-- was signed in 1532. Meanwhile, "Luther lived on at Wittenberg, translating, writing, visiting, teaching, and planning for the further advance of the Reformation" (Robinson, 94). Lutheran ministers continued to spread Protestant teaching throughout the Holy Roman Empire, regardless of the Peace of Nuremberg, believing their actions to be justified by Acts 4:19. 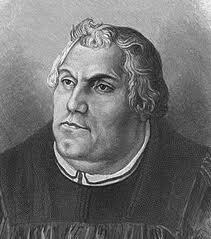 "In early January 1546, at the age of sixty-two, Luther returned to the town of his birth, Eisleben," (George, 102). Luther had been summoned to Eisleben in order to resolve a serious dispute between two counts concerning the division of some property. Luther answered the summons, though he was in extremely poor health. The weather and then the complicated nature of the dispute prevented Luther from returning home for rest and recuperation. After the dispute between the counts was finally resolved, as Luther was preparing to return home to his wife, he became seriously ill. At 1AM on February 18, 1546, Martin Luther woke from a fitful sleep in severe pain. He repeated in Latin Psalm 31:5, "In manus tuas commendo spiritum meum, redemisti me, domine Deus veritatis." "Into thy hand I commit my spirit; thou hast redeemed me, O Lord God of truth." His friend Justus Jonas, who had been keeping watch over him, asked, "Reverend father, will you die steadfast in Christ, and in the doctrine you have preached?" Luther responded-- loud and firm-- with a simple, "Yes." He died before the sun rose.